As nursing home workers continue to take their labour dispute public, making noise across the province, more and more public-sector workers are joining them in their fight for better wages. It's been one month since close to 4,000 unionized nursing home employees in the non-profit sector voted overwhelmingly in favour of a strike. With a court order preventing them from following through, and the government's repeated refusal to go to binding arbitration, tensions with elected officials have been rising, with confrontations between frustrated workers and Premier Blaine Higgs becoming a frequent occurrence. Other public-sector employees have been joining the protests too, including engineers, school bus drivers and social workers. Though the nursing home workers are the most advanced in the bargaining process — now without a contract for 30 months — several other unions are seeking to renew collective agreements of their own. 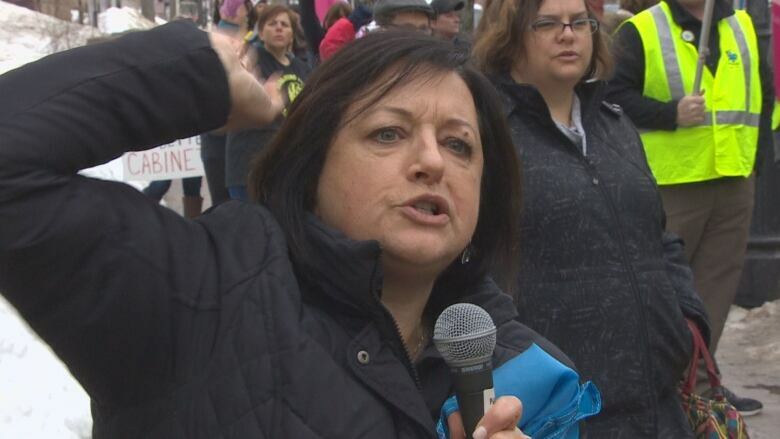 "We are also at the table, so we figure what's happening to you guys is going to happen to us," Maria Richard, vice-president of the New Brunswick Nurses Union said at a rally last month outside the Fredericton courts. Paula Doucet, president of the nurses union, said it was important to show support for the nursing home workers. "There was an attack on the fair bargaining process," she said, referring to the government's resort to court action to bar workers from striking. "An attack to one is an attack to all — regardless of your union affiliation, your color, your stripe ... we're all in this together," she said. The nurses' contracts expired last December. Their union represents 6,900 registered nurses and nurse practitioners in the public sector. Doucet said they are keeping a close eye on the nursing home labour dispute, as she believes registered nurses could find themselves in a similar standoff with the Higgs government. Ambulance workers are another group who have been showing up regularly at rallies. And while nursing home employees may have turned heads with demands for a 20 per cent raise over four years, others are already making clear they plan to follow suit. 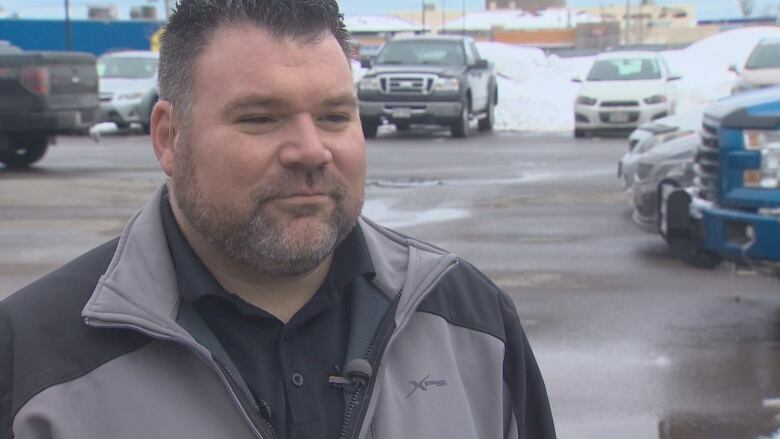 "We've been pushed to the point in my opinion," said Joe Cormier, a paramedic from Hampton and local secretary with the union representing paramedics and dispatchers. 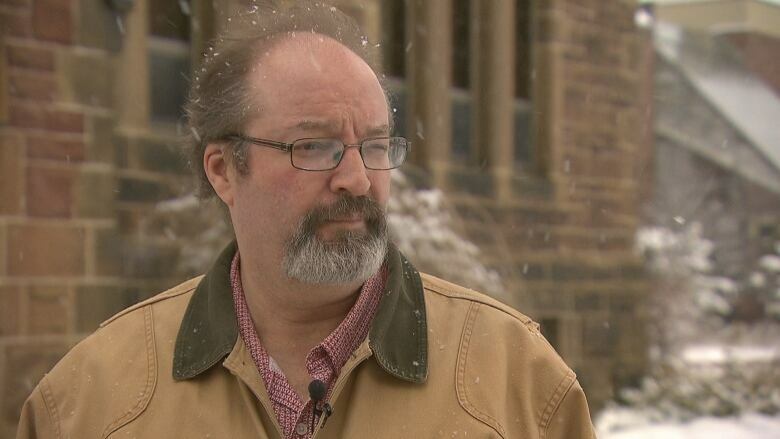 "There's just no more money in the regular New Brunswickers' homes. We are having trouble affording groceries, we are having trouble affording to pay our power bills." When asked why now, Cormier said he believes workers have been patient, believing earlier promises that bigger raises would come in later negotiations. The Higgs government's argument for refusing to give nursing home workers more than a one per cent annual raise is that that's been the standard all other public-sector workers have accepted for years. "The nursing home workers are the first ones making that stand," said Cormier. "To say you know what enough is enough. We've received these peanuts long enough." Nursing home workers, who include licensed practical nurses, resident attendants and dietary and laundry workers, make between $18 and $24 an hour, depending on their job. According to Geoff Martin, a political science professor at Mount Allison University in Sackville, this has been a long time coming. "I think people are feeling the slipping standards of living," he said. He believes after years of cutbacks in the province, things have reached a critical point. "At some point you hit bone," said Martin. "When you're cutting and cutting and cutting — and with an aging population, I think people working in the health care system, the nursing home sector, they can see what's going to happen in the next five, 10, 15 years, and they can't imagine the rest of their career under these circumstances." Martin said the question will be whether the Higgs government will follow through with its agenda or decide to budge if public opinion sways in favour of the unionized workers. 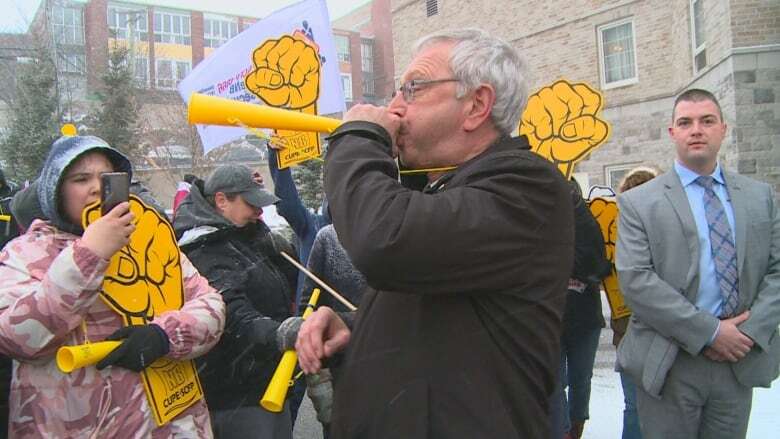 During last month's budget, it was announced the New Brunswick government set money aside for pay increases for 18 public-sector unions whose contracts have expired or are about to. There are 40,000 workers in the public sector spread over 25 unions and representing about 10 per cent of the province's labour force. When CBC inquired about the amount that had been set aside, Vicky Deschenes, Treasury Board spokesperson, said no fixed amount had been budgeted specifically for union bargaining, as the funding will depend on the actual agreements signed. For the past decade, New Brunswick has been handing out raises of one per cent a year. For the 4,100 nursing home workers at the bargaining table, that would represent about $1.43 million. *The nursing home workers' employer is the New Brunswick Association of Nursing Homes. Although the association is funded by the province, the nursing home workers are not counted as one of the 25 bargaining units the province deals directly with. Their contract expired in September 2016.